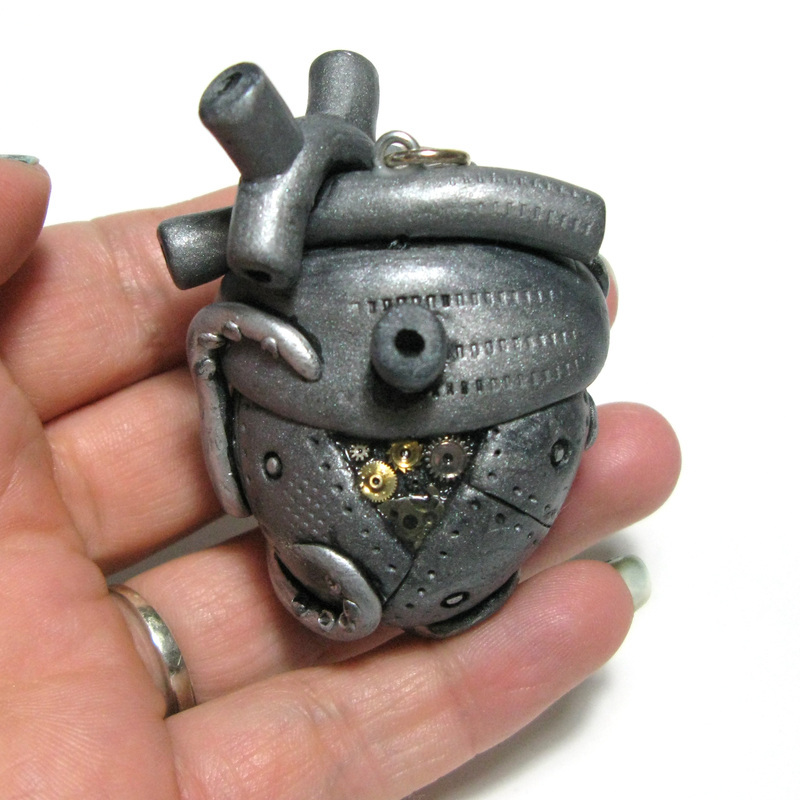 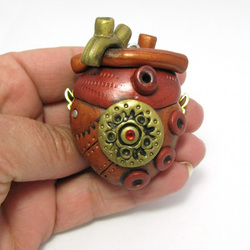 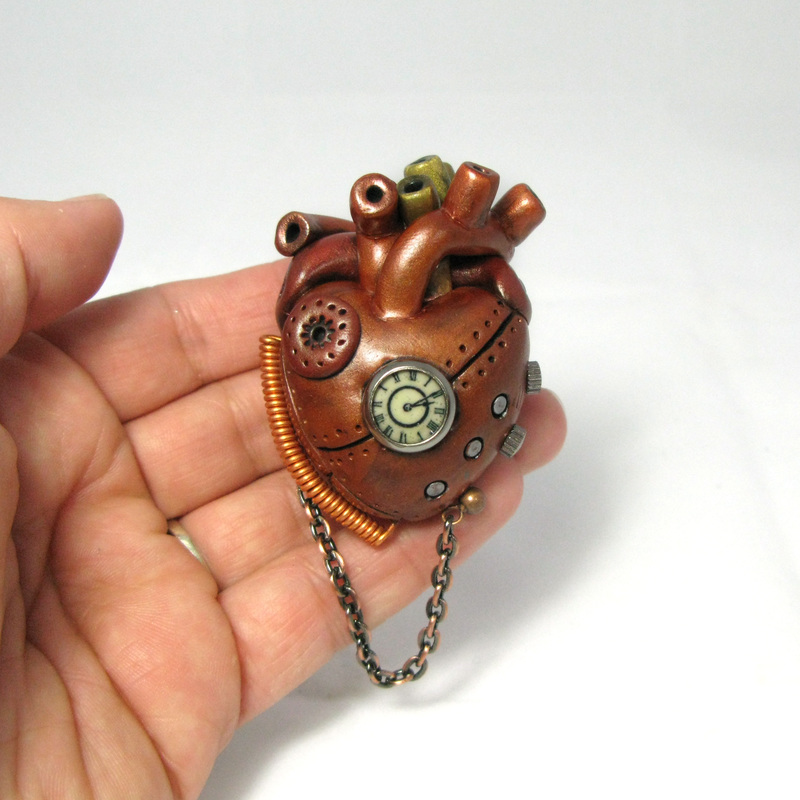 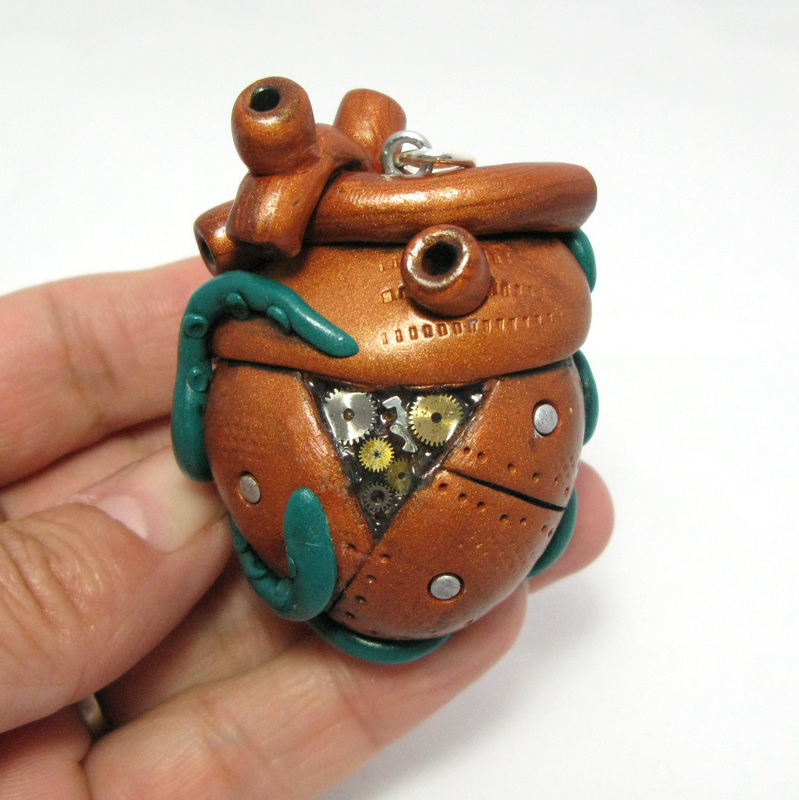 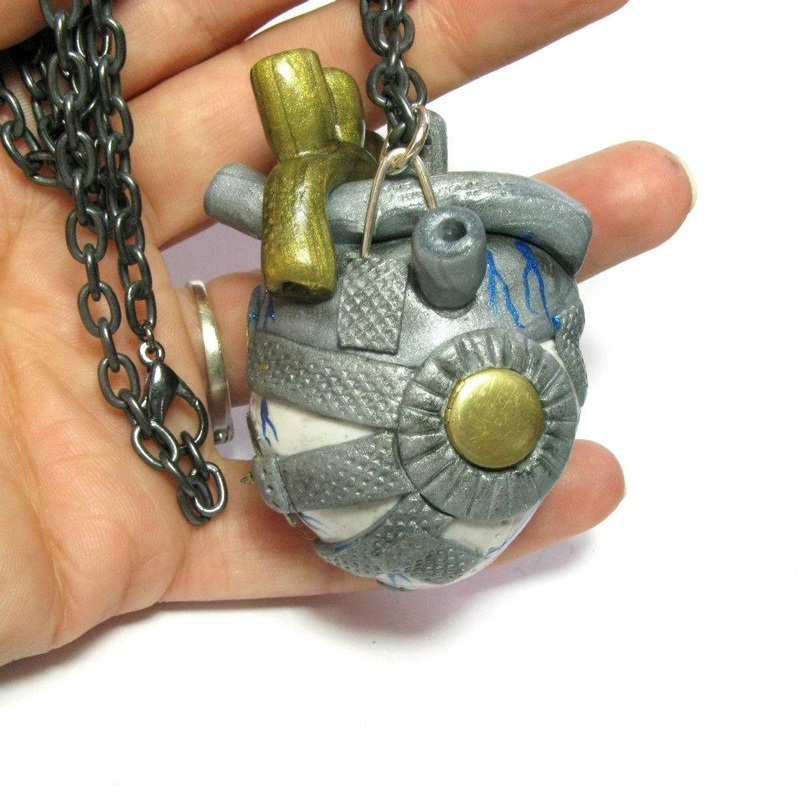 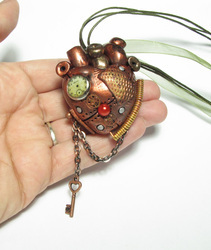 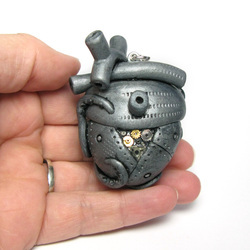 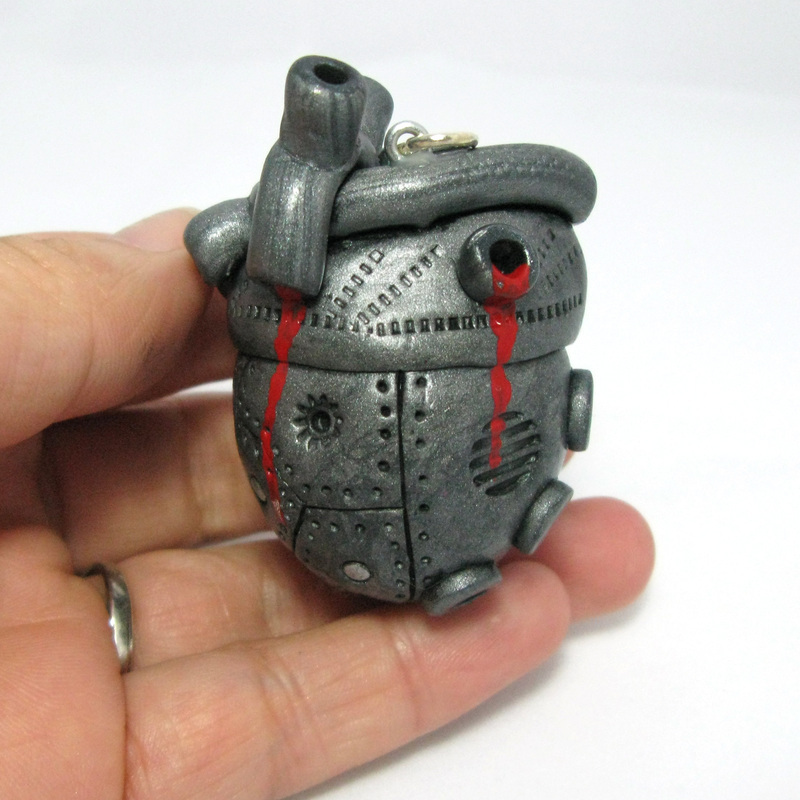 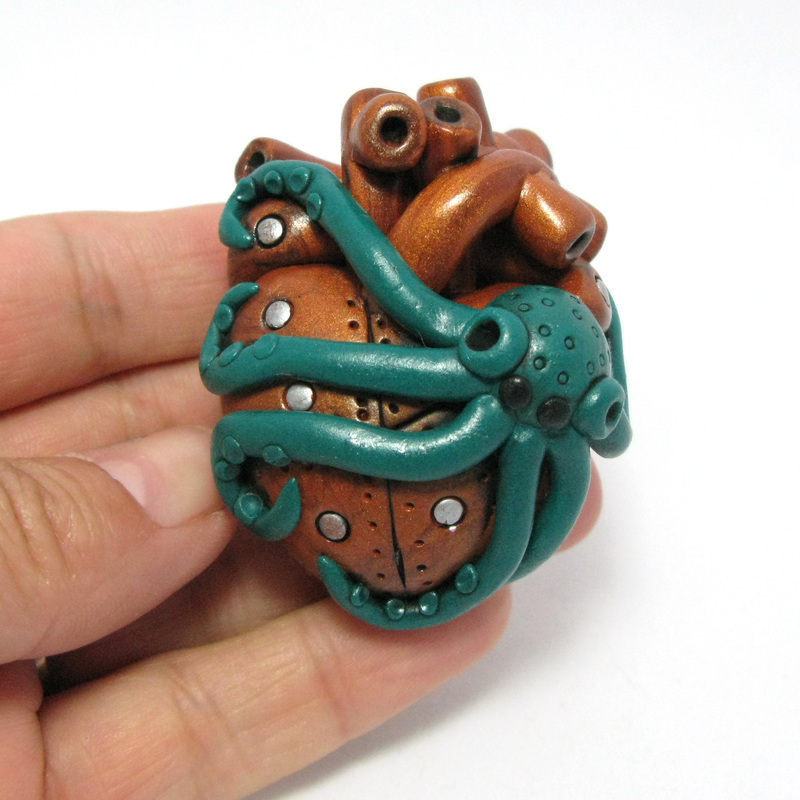 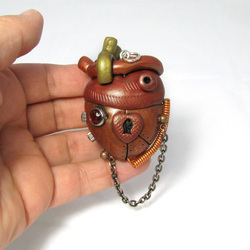 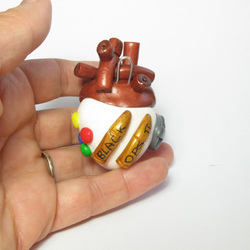 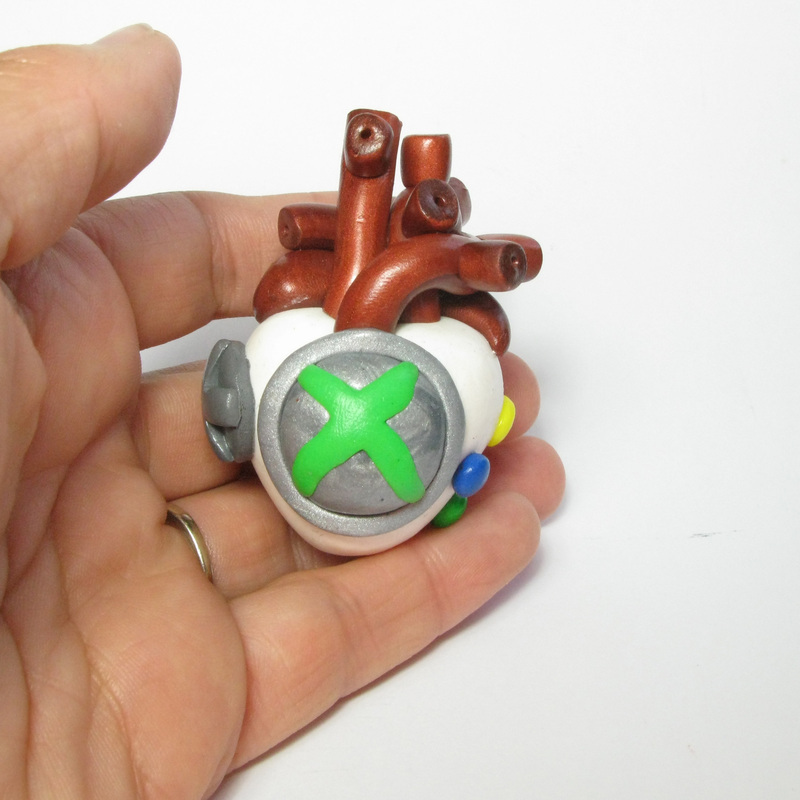 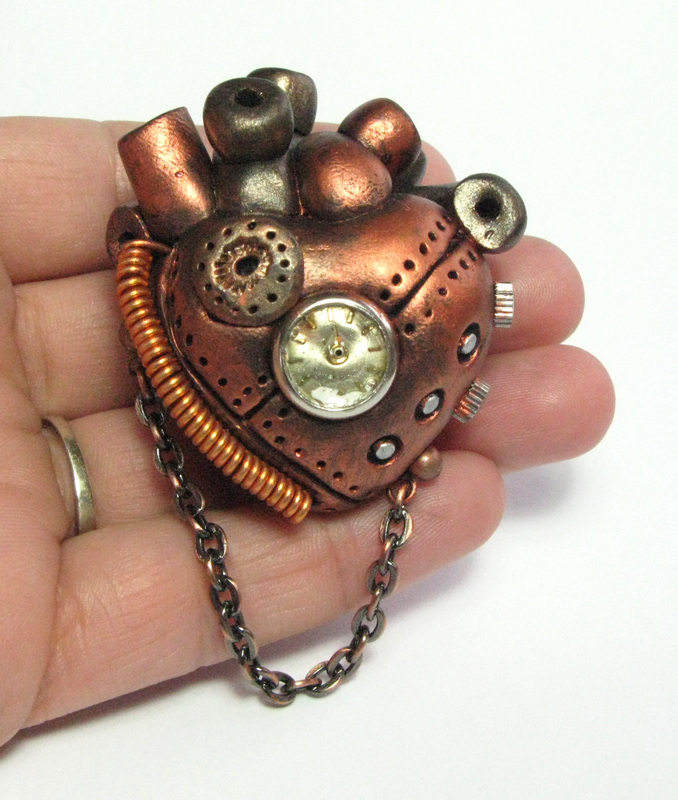 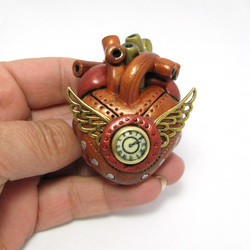 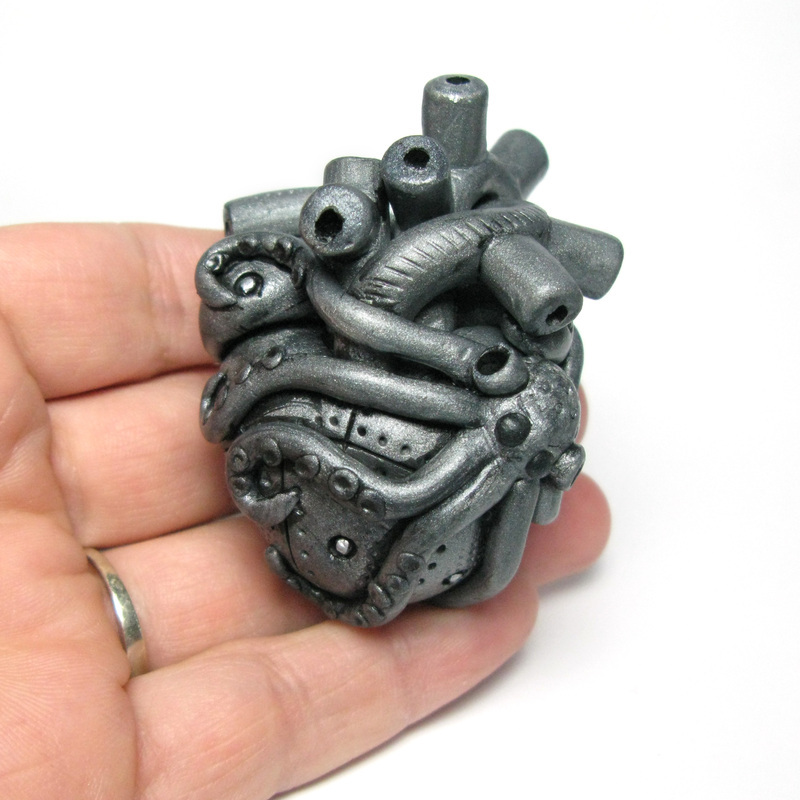 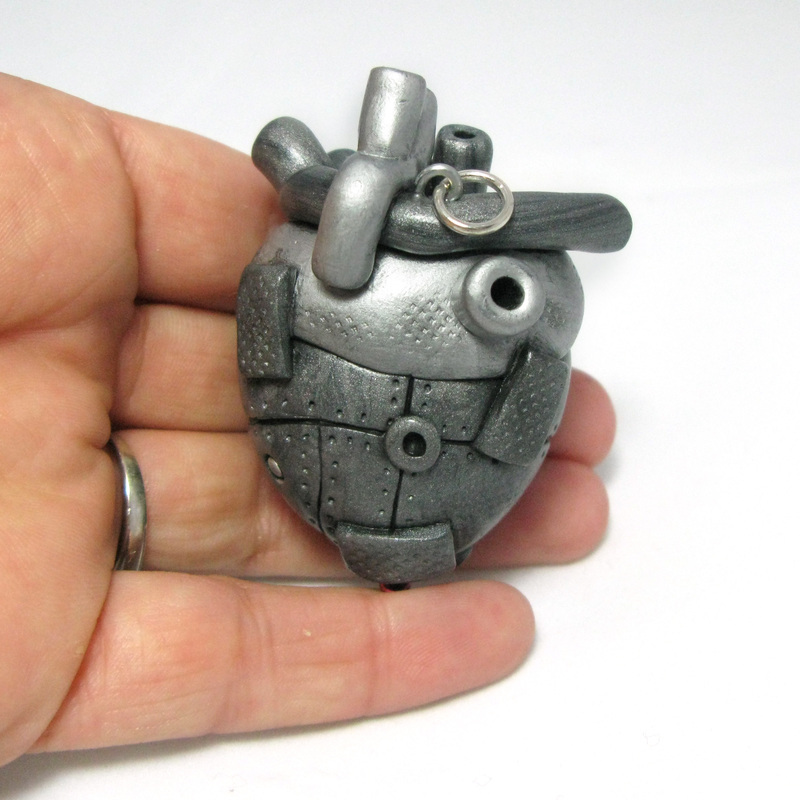 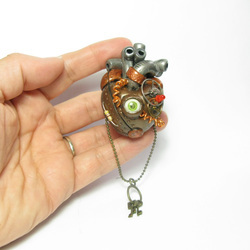 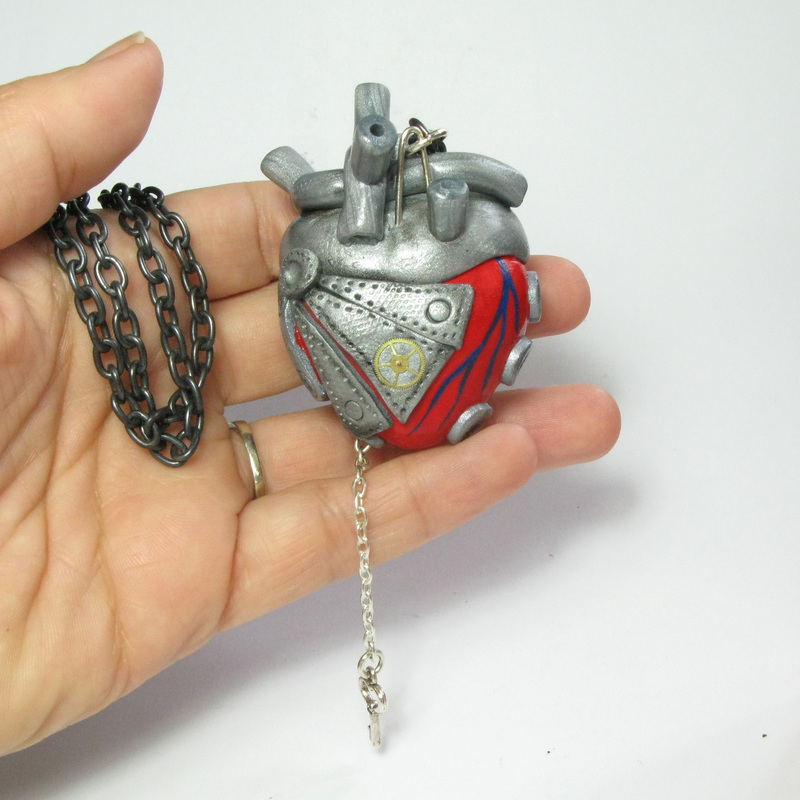 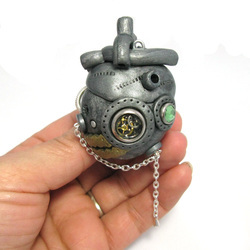 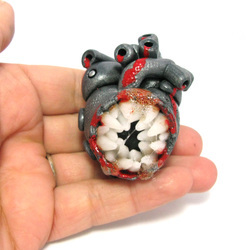 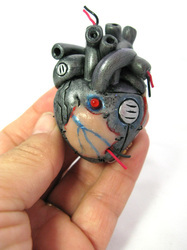 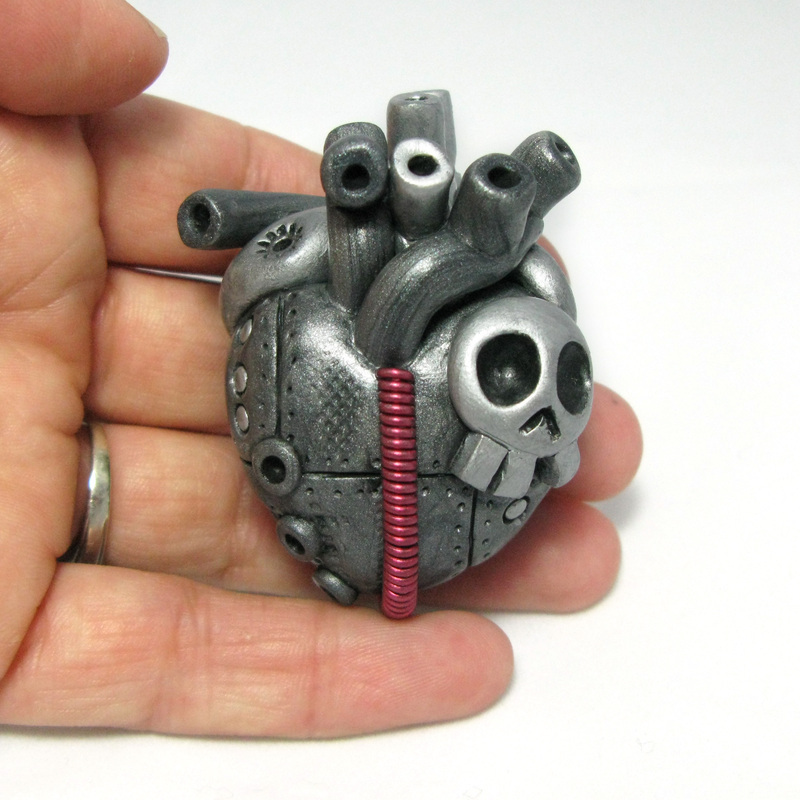 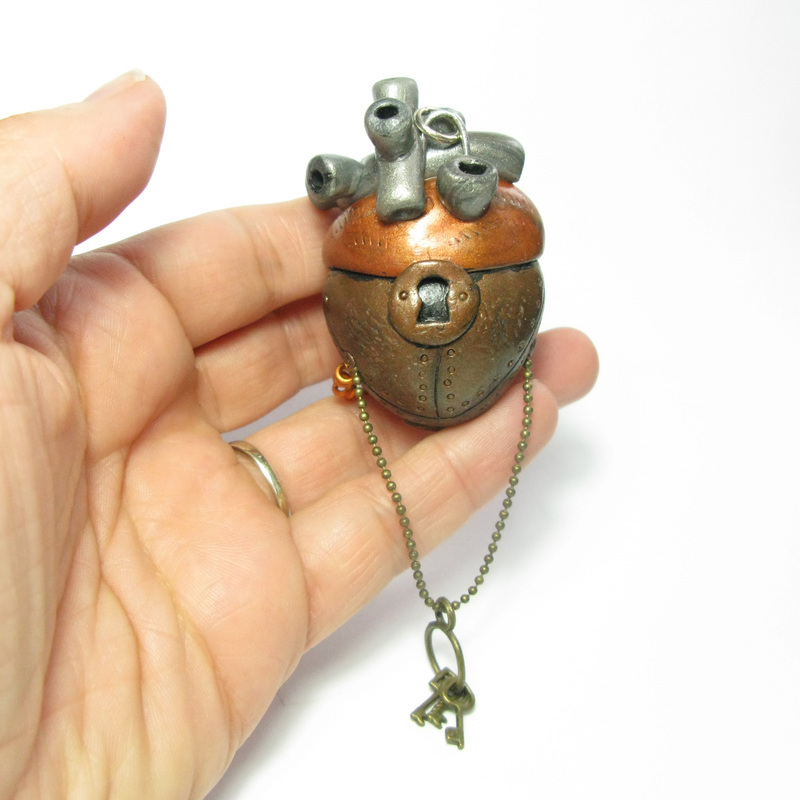 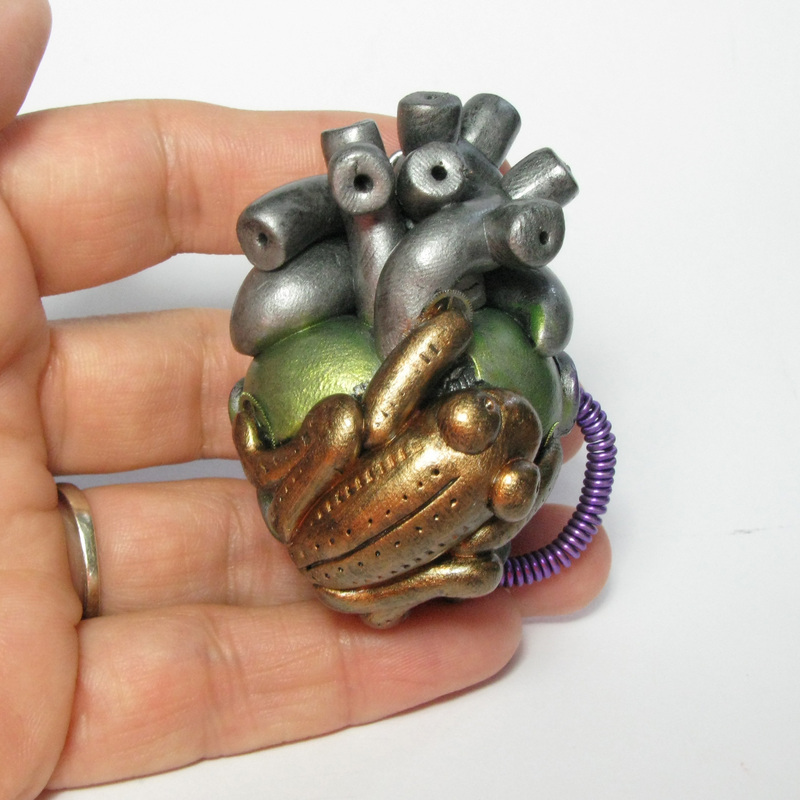 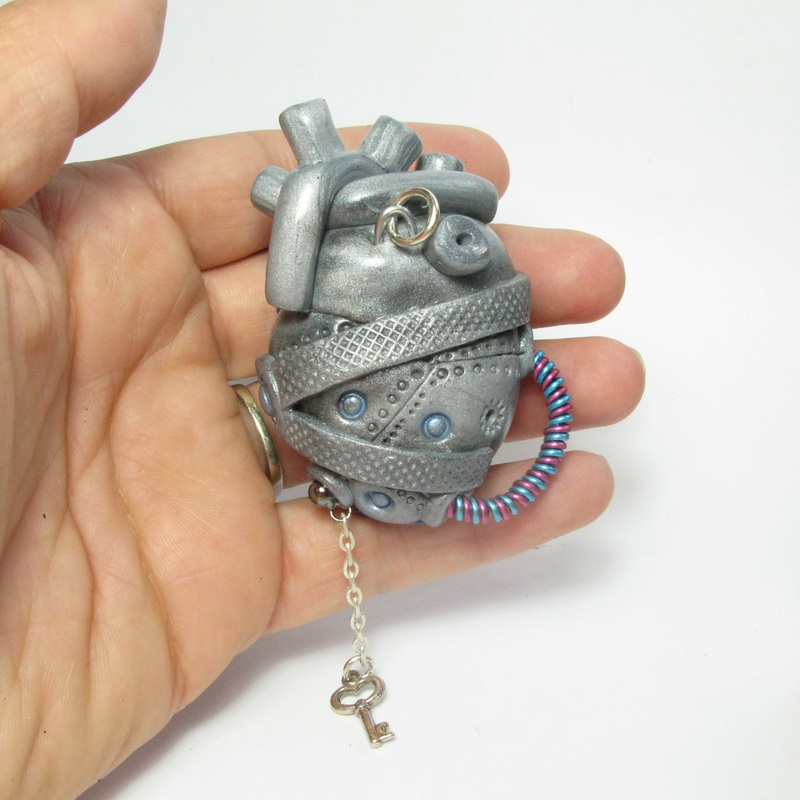 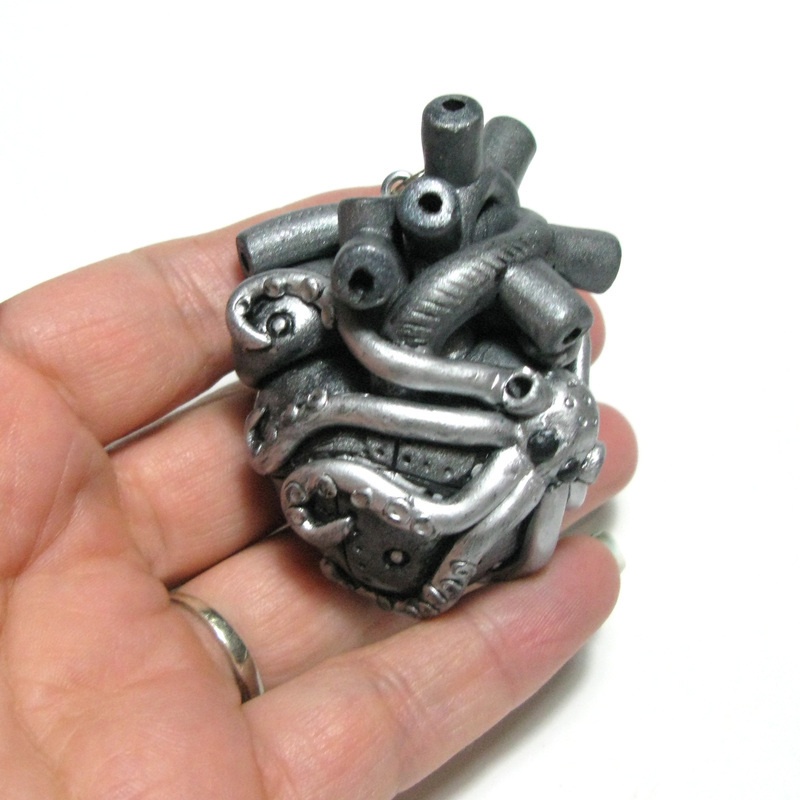 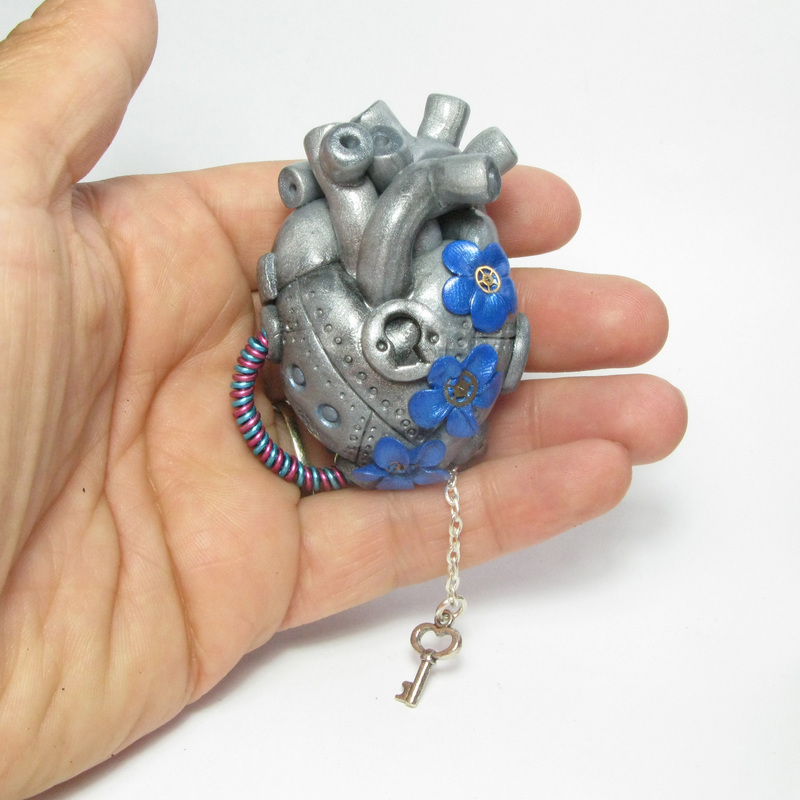 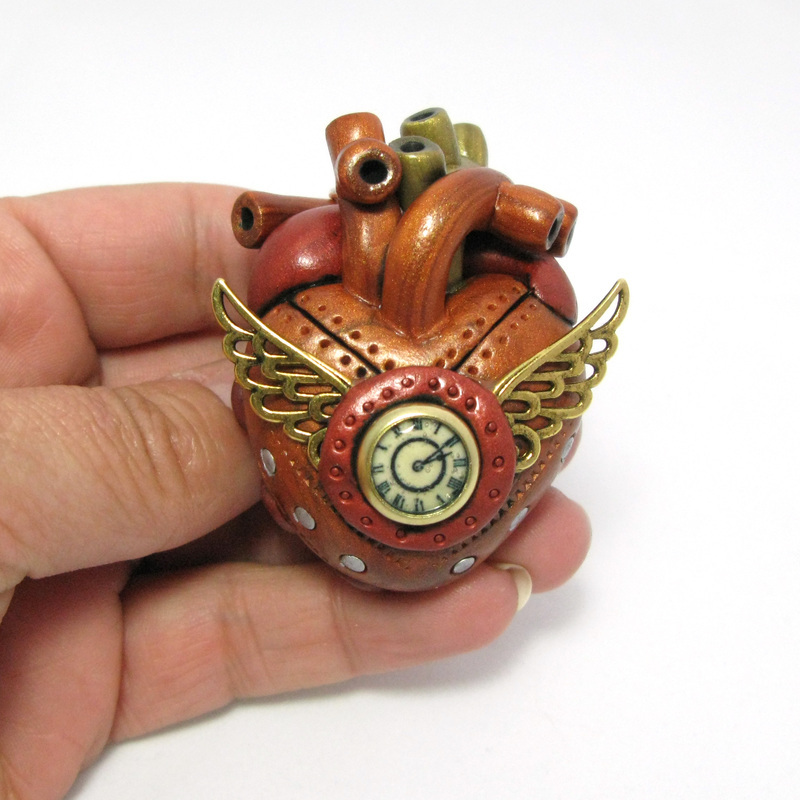 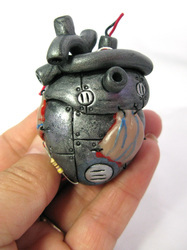 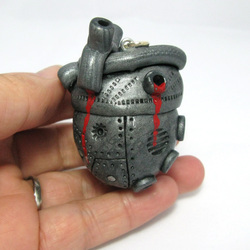 My industrial and steampunk anatomical heart collection are made from polymer clay. 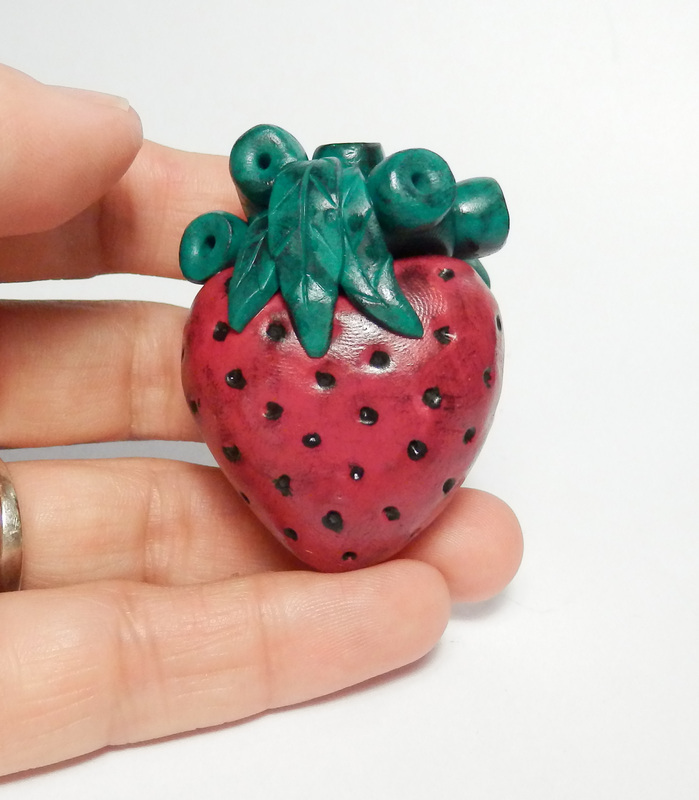 They are completely hand sculpted pieces of jewellery that are created without the use of molds. 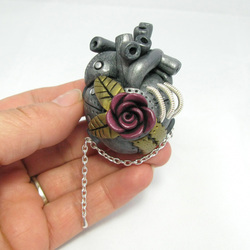 I like to gather various findings that I think will make a very unique looking heart while giving it that bit of an edge from the normal mundane jewellery that you may find in other shops. 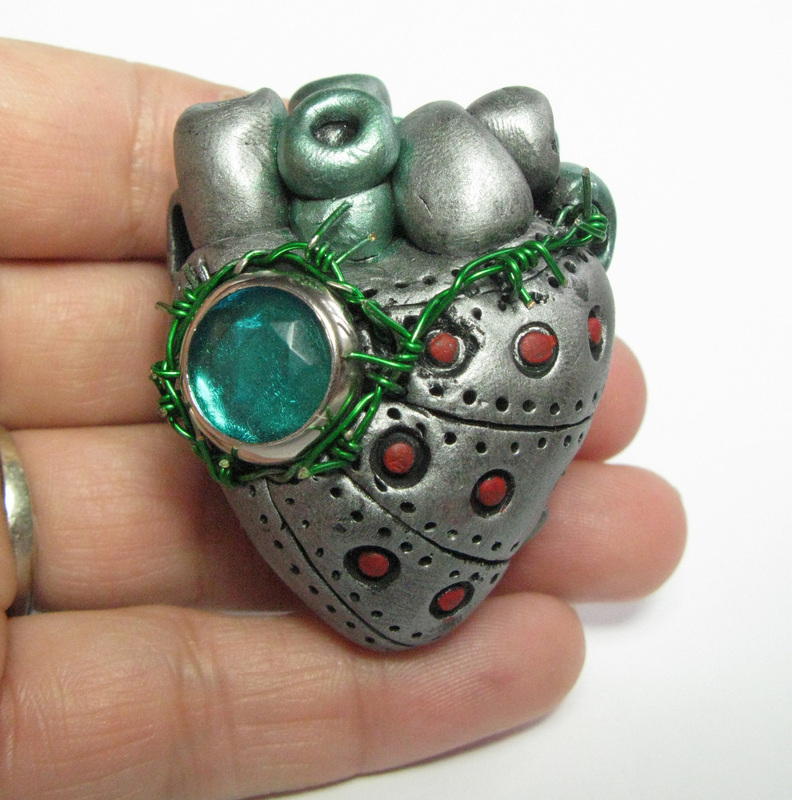 They are finished with high quality patina and then sealed with a very durable satin finish top coat. You can commission me to make you a new heart of your own designs, I've already done this for a few people and they are very pleased with the results. 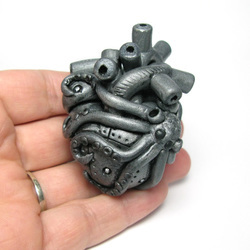 So if you have an idea for an industrial heart that you don't see here, then please feel free to send me a message via the contact page and I will do my best to achieve your dreams. Come and say hello on my Facebook page, where you can hit the like button and be kept up to date with new creations and you can also send me a message for any custom ideas you would like me to make.